Nice! I'm afraid I'll have to double check those instructions next time I work on it, too. I am working on a Babette, too! I'm using scrap yarn, I think I have 20 different colors but in varying amounts. 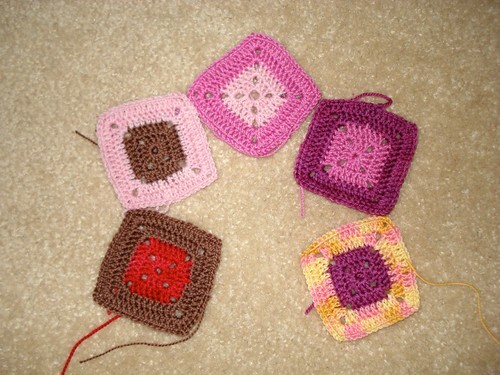 I made all the big squares first, then the very small, and now I have mostly 4-row squares left to do. I just love how the different sized squares pulls together so many seemingly-clashing colors!